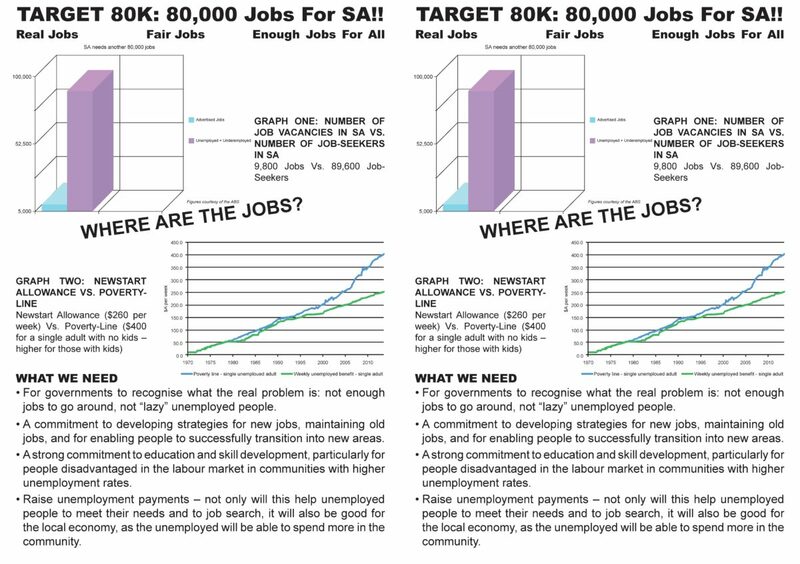 We face a jobs crisis in SA: 90,000 job-seekers, but only 10,000 job vacancies. Instead of creating new jobs, governments blame unemployed people. People struggling to survive on the very low Newstart Allowance (only $260 per week). Being unemployed is not a short-term thing any more – it can be a long, painful ordeal. And many unemployed people face extra barriers, such as employer discrimination against older job-seekers, those with disabilities, and those with children to care for. Something needs to be done. Let’s get real about unemployment. It’s time to shift the blame off those out of work and onto governments. Let’s get them to create enough jobs to go around. 80,000 extra jobs. 80,000 real, fair jobs. Enough for everyone looking for work. We can make it happen – if we fight for it. 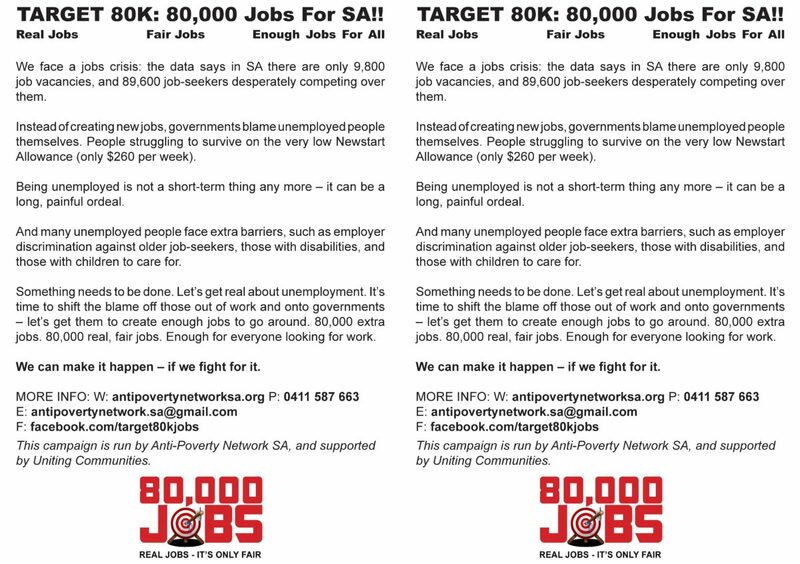 This campaign is run by Anti-Poverty Network SA, and supported by Uniting Communities.